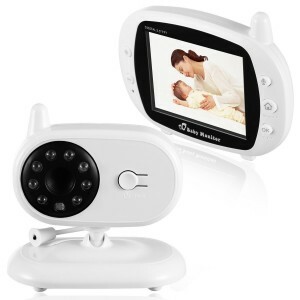 You will love this Wi-Fi baby monitor because it helps you to monitor your baby across multiple devices. 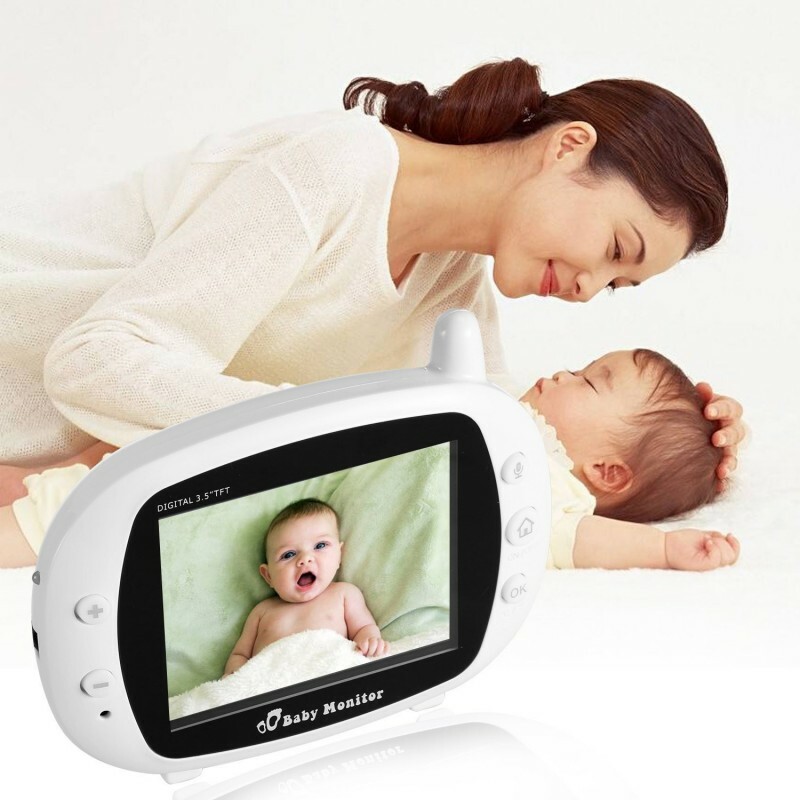 In case your phone is engaged you can use the TFT 3.5-inch monitor that it comes with to monitor the baby. Since it is also connected to Wi-Fi you can use other internet-enabled mobile devices to monitor the activities of your child. 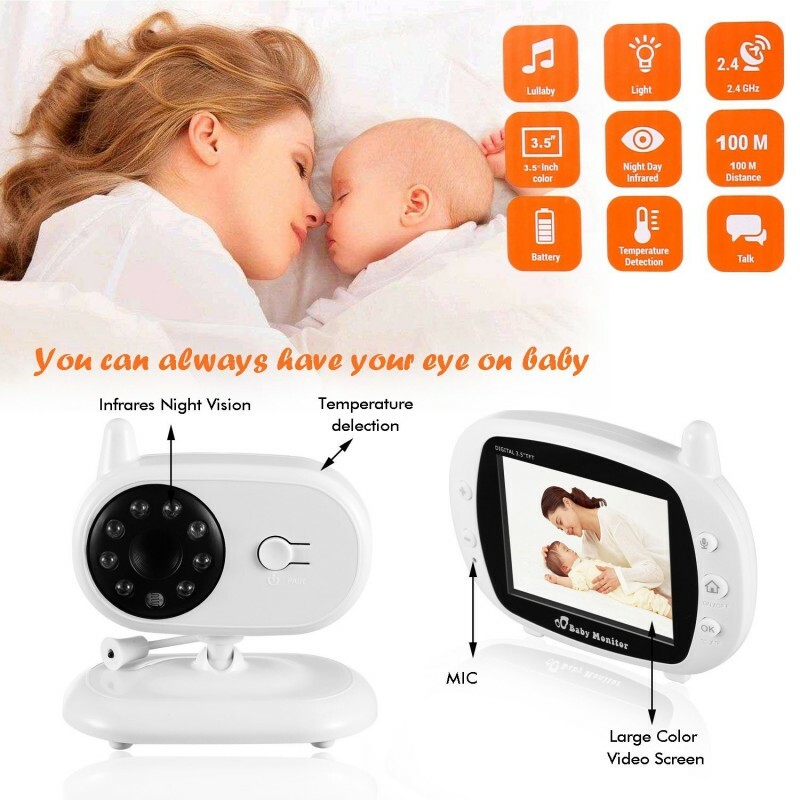 One other thing that you will love about it is that it comes with a camera with infrared that can help you monitor your baby effortlessly at night. 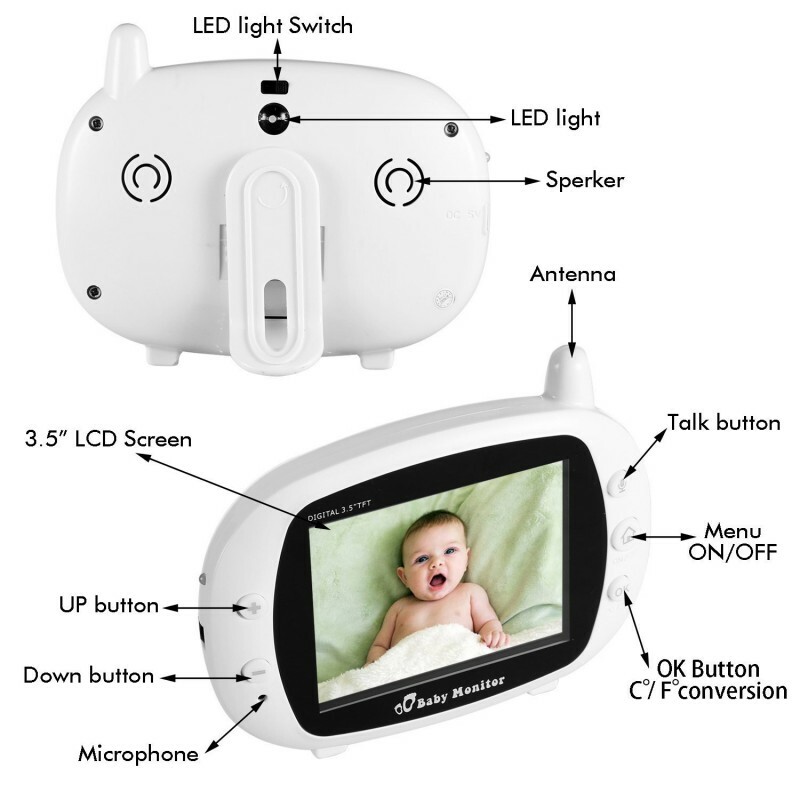 It also monitors your baby’s temperature all through and sends you notifications in case of any serious changes. However, its plug is US Standard which can be very inconvenient for any international buyer interested in it. It is quite small so finding a convenient space to fit it shouldn’t be a problem. You can control it remotely via your phone through an application thanks to its Wi-Fi connectivity. In case you do not have access to an internet enabled phone you can access it through the TFT Monitor that it comes with. You will get to benefit from a camera that has a wide field of view so you can survey a large portion of your child’s environment in a very short time. It allows you to communicate to your baby directly which is crucial in case you are in a different room and you need to soothe a crying baby. You can soothe your baby to sleep by selecting and playing its favorite lullaby for it. 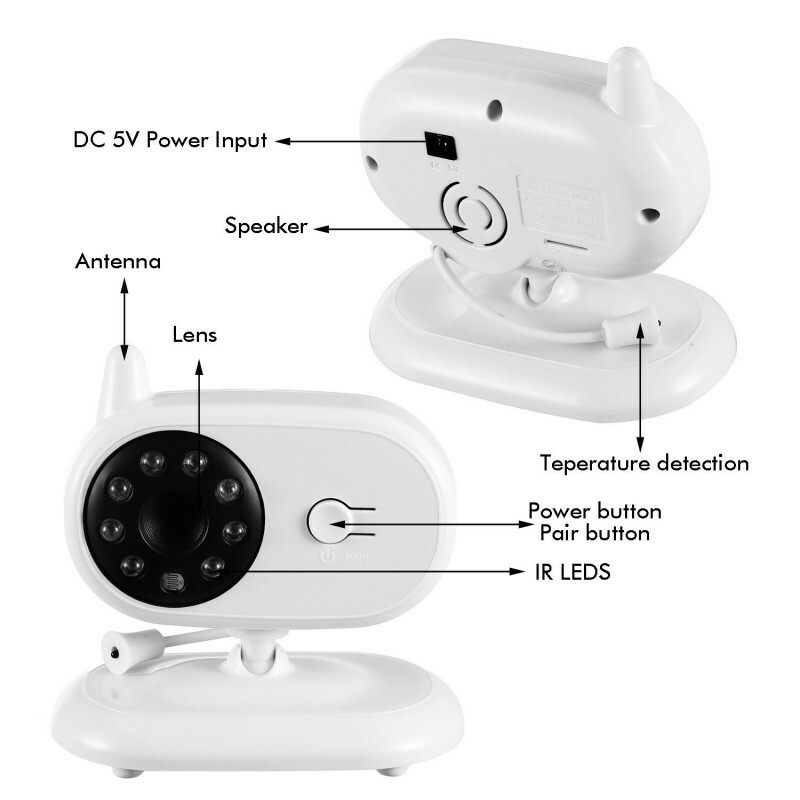 It helps you to monitor your baby’s room temperature and sends you alerts in case of changes. 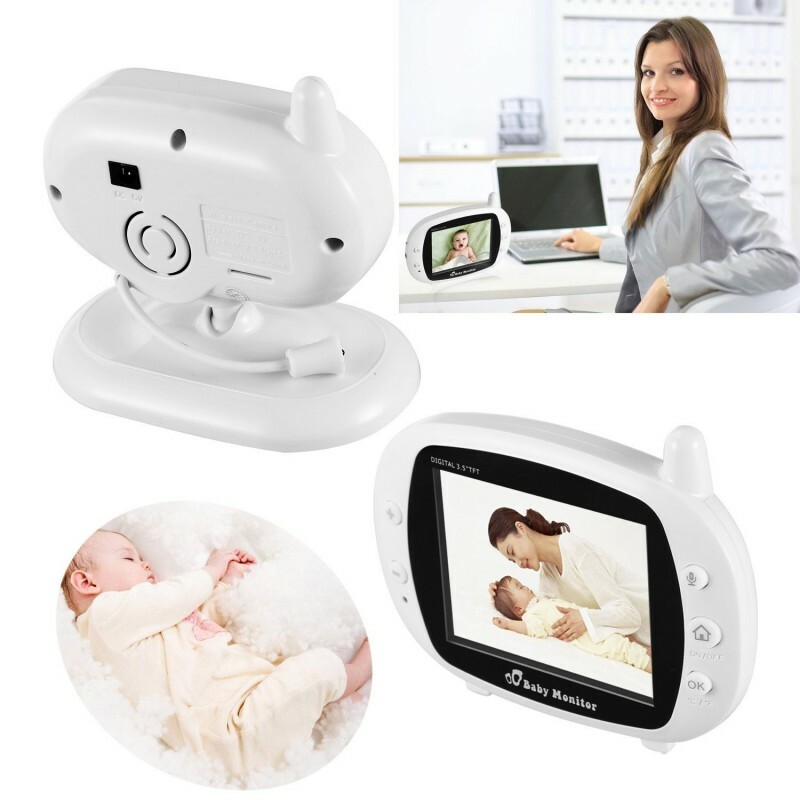 You will be able to monitor your baby at night since its camera has infrared capabilities. Its power cable is made to work with US standard plugs only.